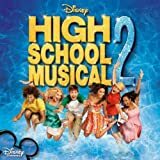 Accueil Bande originale Paroles Chansons Everyday – Paroles de la chanson dans “High School Musical 2”. Everyday – Paroles de la chanson dans “High School Musical 2”. Means there’s no second chance. So I believe that you and me. Should grab it while we can. It’s our turn, and I’m loving’ where we’re at. Because this moment’s really all we have. Gonna use our voices and scream out loud. They say that you should follow. And chase down what you dream. But if you get lost and lose yourself. What does is really mean ? No matter where we’re going. There’s more to life when we listen to our hearts. And because of you, I’ve got the strength to start. That’s how it’s gonna be. Live ev’ry day. Love ev’ryday.